Nepal Stock Exchange, in short NEPSE, is established under the company act, operating under Securities Exchange Act, 1983. The basic objective of NEPSE is to impart free marketability and liquidity to the government and corporate securities by facilitating transactions in its trading floor through member, market intermediaries, such as broker, market makers etc. NEPSE opened its trading floor on 13th January 1994. Government of Nepal, Nepal Rastra Bank, Nepal Industrial Development corporation and members are the shareholders of NEPSE. The history of securities market began with the floatation of shares by Biratnagar Jute Mills Ltd. and Nepal Bank Ltd. in 1937. Introduction of the Company Act in 1964, the first issuance of Government Bond in 1964 and the establishment of Securities Exchange Center Ltd. in 1976 were other significant development relating to capital markets. Securities Exchange Center was established with an objective of facilitating and promoting the growth of capital markets. Before conversion into stock exchange it was the only capital markets institution undertaking the job of brokering, underwriting, managing public issue, market making for government bonds and other financial services. 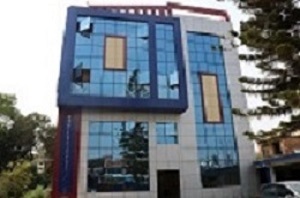 Nepal Government, under a program initiated to reform capital markets converted Securities Exchange Center into Nepal Stock Exchange in 1993. Members of NEPSE are permitted to act as intermediaries in buying and selling of government bonds and listed corporate securities. At present, there are 50 member brokers , who operate on the trading floor as per the Securities Exchange Act, 1983, rules and bye-laws. Besides this, NEPSE has also granted membership to issue and sales manager securities trader (Dealer). Issue and sales manager works as manager to the issue and underwriter for public issue of securities whereas securities trader (Dealer) works as individual portfolio manager. The tenure of the membership is one year. The license should be renewed within 3 months after the closure of the fiscal year. If not, it can be done within another three months by paying 25% penalty.